Since 2000, on the last week-end of July, we organize a yearly week-end getaway in the south of France:Lourdes, Irun and Biarritz. It is a very friendly-family tour as we prepare delicious home-made meals prepare by tita Liza, play games in the bus and have fun memorable times together. 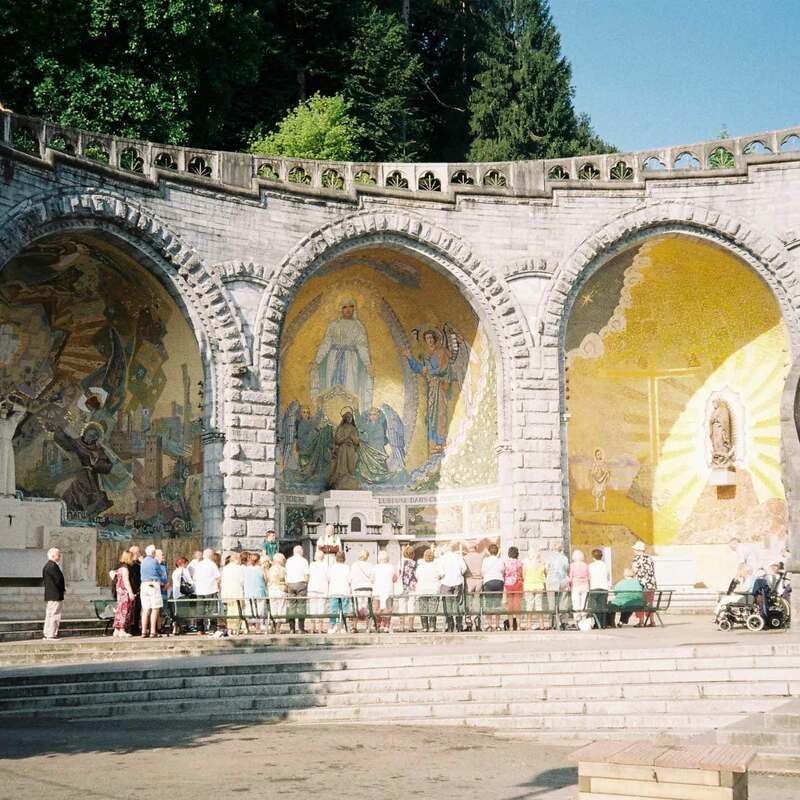 As we hit off the road with the bus, we first stop in Lourdes, in the South of France. It is known for its Roman Catholic shrine where Our Lady of Lourdes (Feast: Feb. 11) is believed to have repeatedly appeared (1858) to St. Bernadette. Thus, millions of peoplerom Europe and other parts of the world to make the pilgrimage drawn by their faith in the miraculous cures attributed to the waters of the shrine. On the next day, we take the early road to Irun located on the French/Spanish boarders to make some grocery shoppings. There, our travellers enjoy the cheap prices of soap, candies, chocolate and beverages. 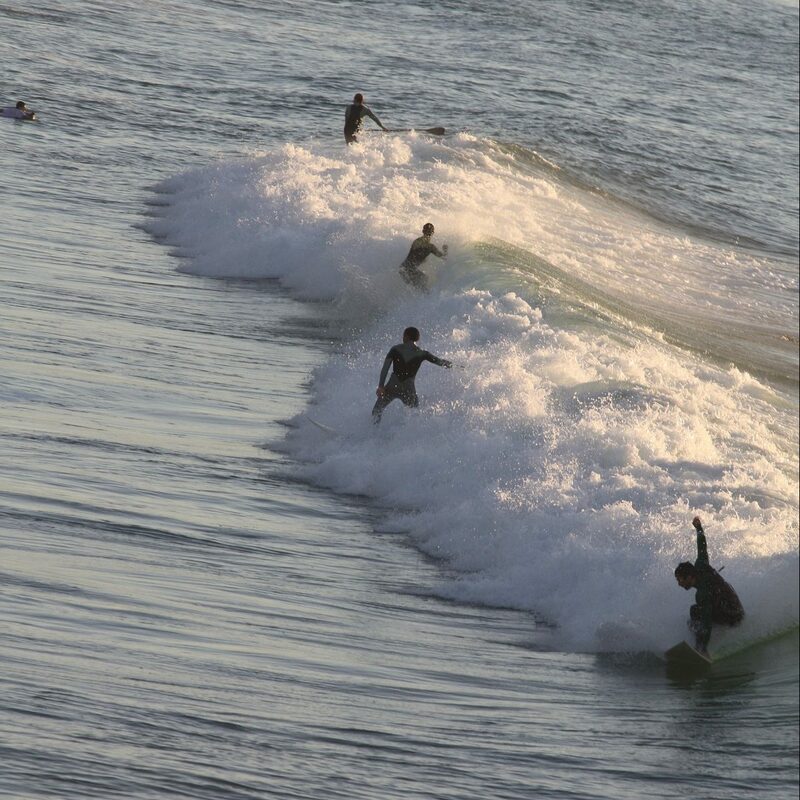 Finally, we spend a relaxing afternoon at the beach of Biarritz, known for its surf spots! Ladies don’t forget to bring your bikini! Discover the majestic Sanctuary of Our Lady of Lourdes. 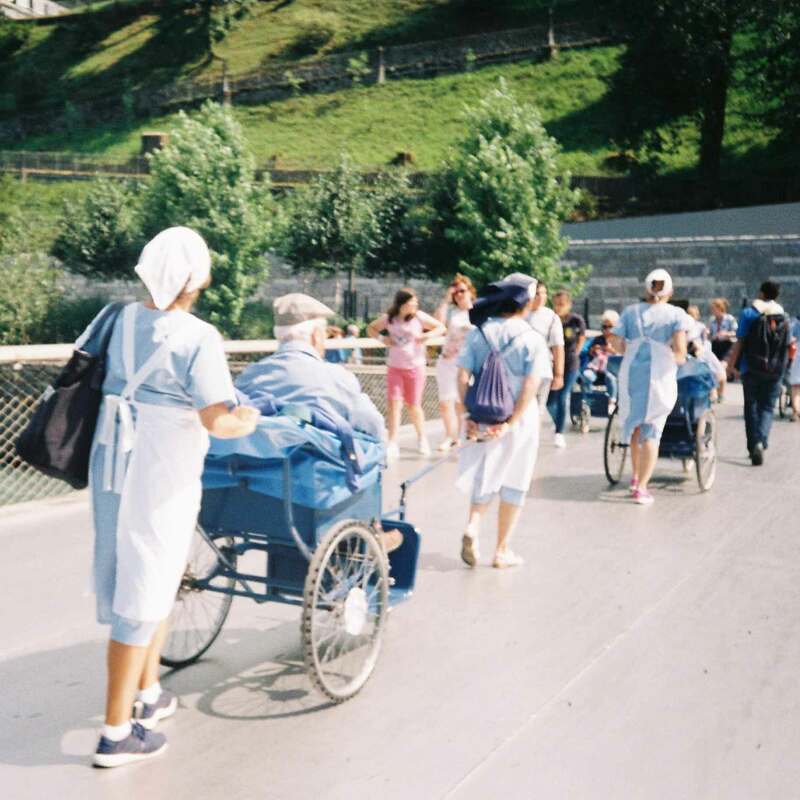 Amongst the millions of visitors visiting Lourdes, there are thousands of ill or disabled people who pray and visit the pool as they put their faith in the miraculous cures attributed to the waters of the shrine. 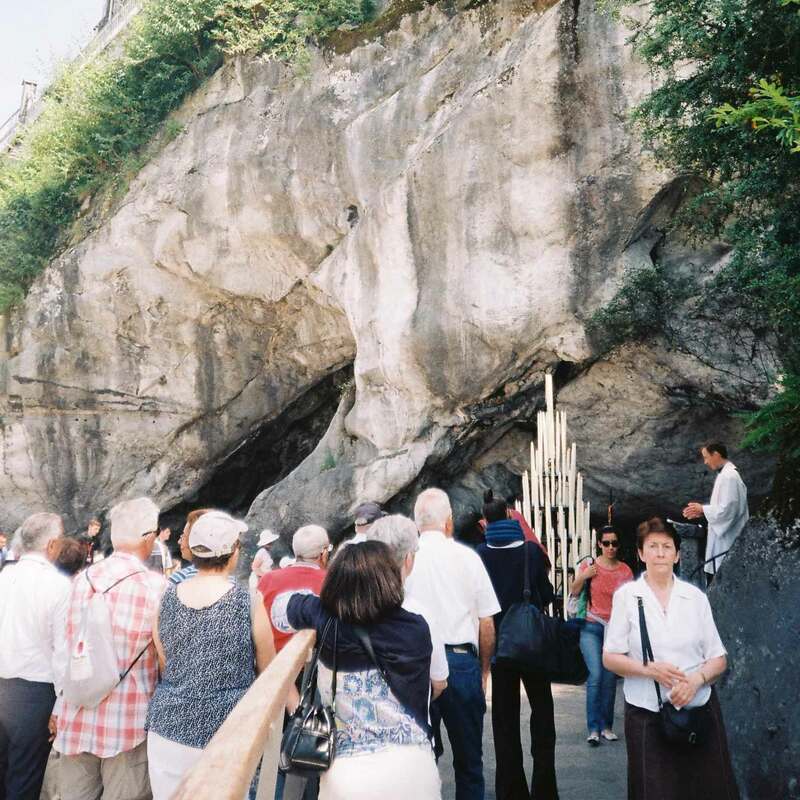 It is in this cave precisely that Our Lady of Lourdes appeared miraculously in front of the eyes of Saint Bernadette. Thus, visitors line up to pray and touch the cave’s water and rock in the faith that their prayers will be heard. Quick-stop at the markets and groceries of Irun, a city located on the boarder of Spain & France. Enjoy exclusive prices of everyday products! 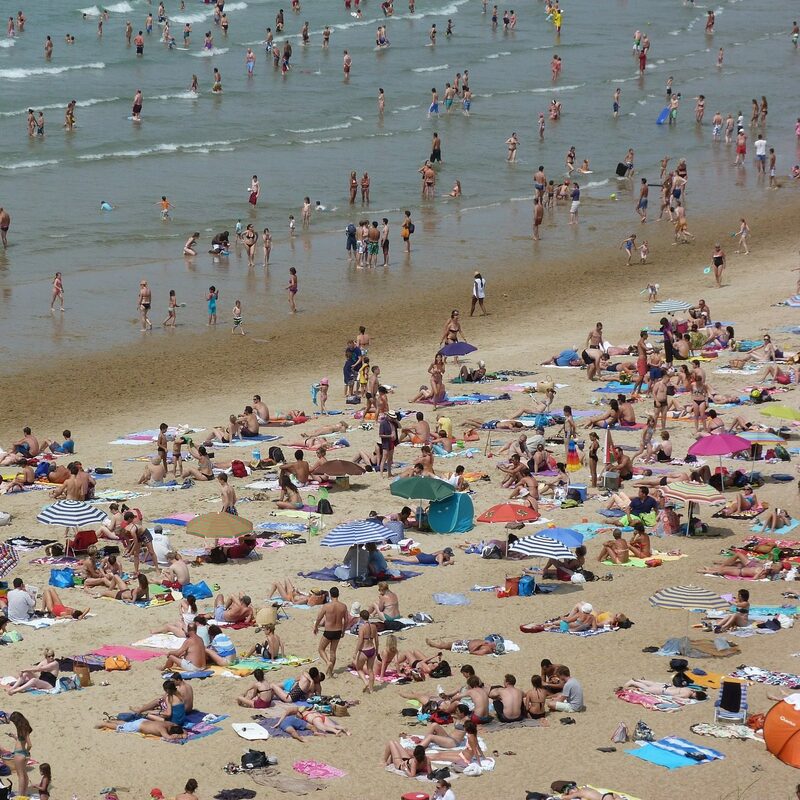 Spend a relaxing afternoon at the beach of Biarritz! Beware of the strong waves and the near rocks. Be cautious and follow the instructions of the local lifeguards. If too crowded, you can still walk around and enjoy the view on the sea or give yourself some luck at the Casino!